Quality and regulatory scientist with 25+ years of experience providing guidance for successful FDA submissions, technology transfers and validation associated with human cellular and tissue based products, biologics, and medical devices. Rosemarie is an expert in quality and regulatory sciences with over two decades of experience helping to build life science corporations. 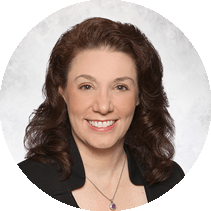 Rosemarie joined Dark Horse Consulting in 2018 as a practice expert in quality. She brings extensive industry knowledge of regulatory and quality sciences with an emphasis in human cell and tissue products, biologics, and medical devices of biologic origin. Rosemarie started managing quality activities in the year 2000 at a start-up human stem cell and tissue company, Anthrogenesis, where she designed and implemented an innovative quality program prior to the existence of applicable FDA guidances and CFRs. The company was soon acquired by Celgene in 2002, where Rosemarie stayed for another 12 years. At Celgene Corporation, she played significant leadership roles in process validation, quality assurance, quality control, and operations. While at Celgene, Rosemarie was responsible for numerous activities to achieve FDA submission readiness for several human cell therapies and tissue based medical devices. She built QC programs, designed pre-validation activities, established quality operations, and authored several documents for regulatory submission. As Celgene expanded its capabilities, Rosemarie was instrumental in overseeing compliance with new regulations, designing and building new specialized laboratories, and building teams to execute growing company objectives. After leaving Celgene, Rosemarie was an independent regulatory science consultant. In this role, she has provided regulatory and quality guidance to several clinical stage biopharmaceutical companies, including consulting on clinical trial QA release activities, and helping clients perform audits and gap assessments to prepare for ISO and MDSAP compliance. She has also provided training for ‘Technical Writing for Regulatory Submissions’, and lectured for several programs on regulatory science.